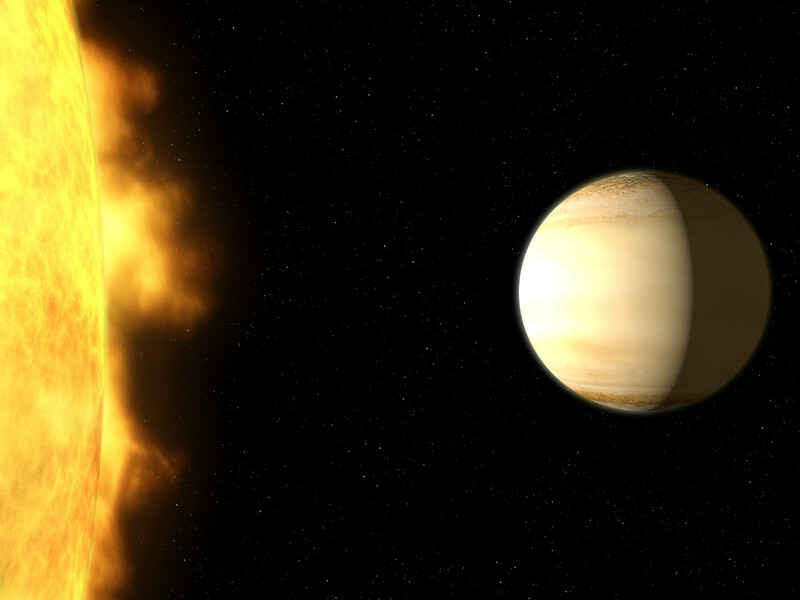 A team of British and American astronomers used data from several telescopes on the ground and in space — among them the NASA/ESA Hubble Space Telescope — to study the atmosphere of the hot, bloated, Saturn-mass exoplanet WASP-39b, about 700 light-years from Earth. The analysis of the spectrum showed a large amount of water in the exoplanet’s atmosphere — three times more than in Saturn’s atmosphere. 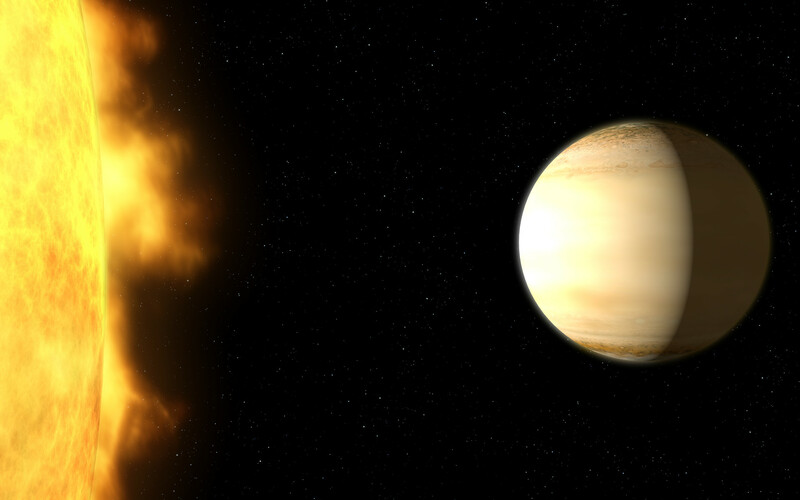 WASP-39b is eight times closer to its parent star, WASP-39, than Mercury is to the Sun and it takes only four days to complete an orbit.